Sugar Creek Family Dental is proud to offer exceptional dental implants to the residents of Fenton, Missouri, and the surrounding areas. Our dental practice is a comprehensive, family dental practice that treats patients of all ages with the highest quality in restorative dental care. Dr. William Capati is highly qualified to place, restore and repair dental implants in order to help patients achieve a full, complete, and beautiful smile. Your smile is as unique as you are, and it takes an artist's eye to create a smile that looks beautiful, natural, and functions well. Dr. Capati will take the time to listen to your concerns and determine your exact needs in order to craft a smile with your desired results. Are Implants the right choice for you? Dental implants have been touted as the greatest advancement in dentistry within the last century. One of the most amazing things about dental implants is that they are right for the majority of people. The general rule is that if your mouth is healthy enough to have routine extractions, then it is healthy enough for the implant procedure. Dr. Capati takes the time to get to know each of his patients and determine the exact needs of their smiles in order to take the necessary steps to successfully place dental implants. Dental implants are a permanent dental replacement solution. While they do require a larger monetary investment up front, they are meant to last for a lifetime. 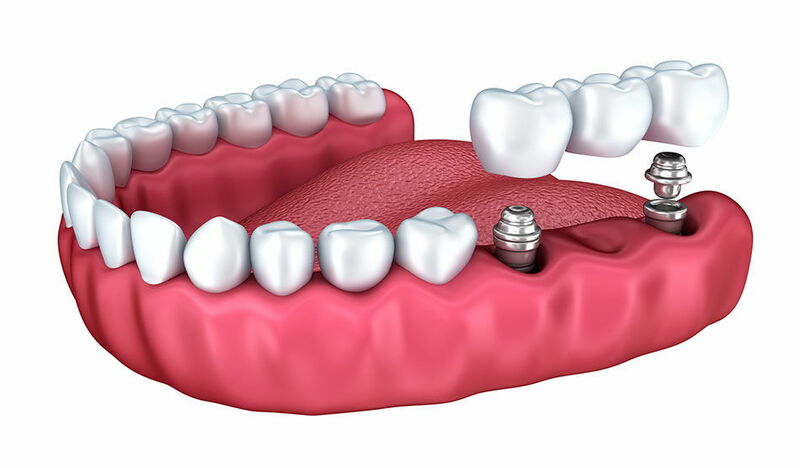 Dentures, bridges, and even crowns all need to be replaced within a few years, but dental implants do not. This means that in the long run, you will typically save money with dental implants! Your mouth is a very personal feature to your face and appearance. Dr. Bill Capati has the training, experience, and finesse needed to bring your confidence and beautiful smile back. Contact Sugar Creek Family Dental today for a consultation with Dr. Capati.